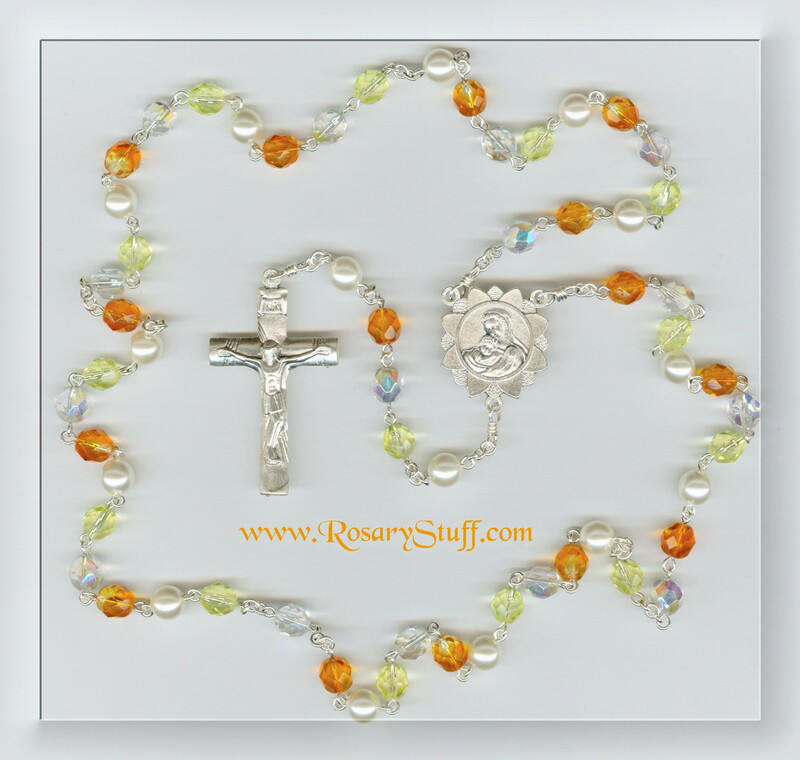 This unique multi-colored Czech glass rosary is a great example of what you can do with a little bit of color. It features a wonderful, multi-textured sunflower center and a bright spring/summer mix of yellows, oranges, white and clear. BEADS: 8mm multi-colored Czech glass beads: round white pearl, faceted/fp orange/yellow mix, jonquil yellow, and AB clear. CENTER: Italian silver plate sunflower center featuring the Virgin Mary holding her precious Baby Boy Jesus. 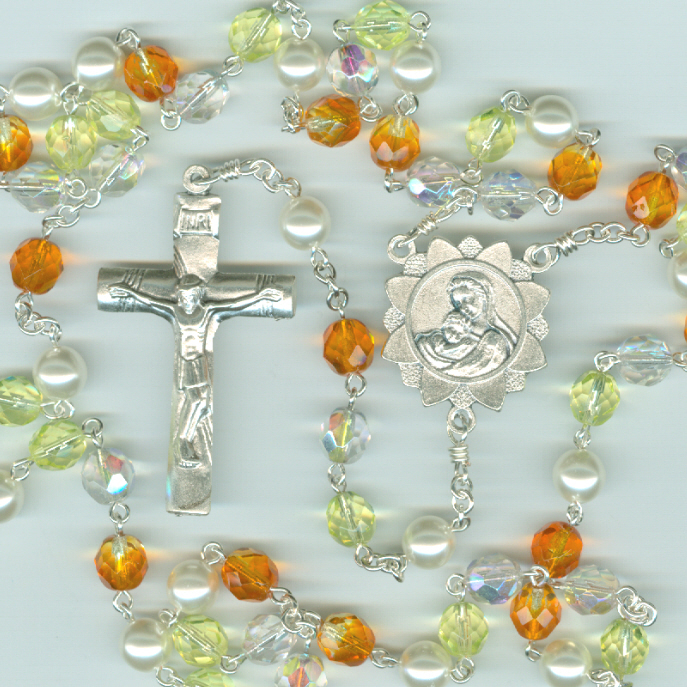 WIRE/CHAIN: this rosary features my upgrade to the thicker 20g silver plate wire and round link sterling silver chain which is also 20 gauge.